Today, I visited Hebron for the first time. I was apprehensive before going — Hebron is seen as one of the front lines of the occupation, and I had seen videos of clashes there. 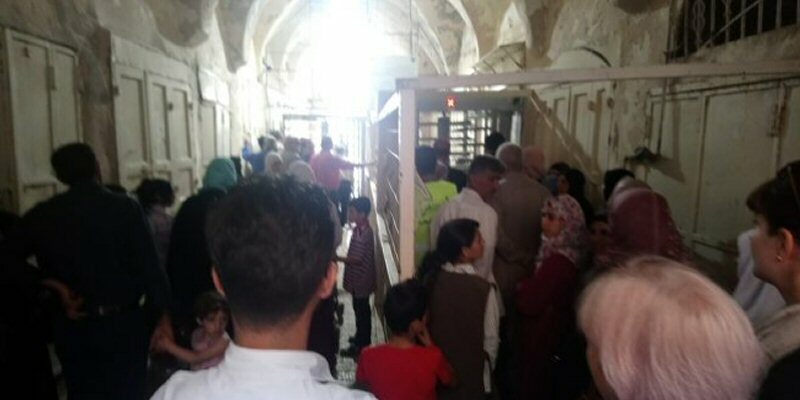 At the end of the street, people were gathering around a metal cage-like structure with turnstile: a checkpoint, not separating “Israel” from Palestine, but the market of this Palestinian town from the historic Ibrahimi mosque.